If you want hot coffee ready when you wake up in the morning, then a programmable model will be the most suitable coffee maker for you. There are various Keurig machines that can provide you a number of distinct abilities. In addition, newer models have cup size options that can guarantee you the best beverage based on its size. 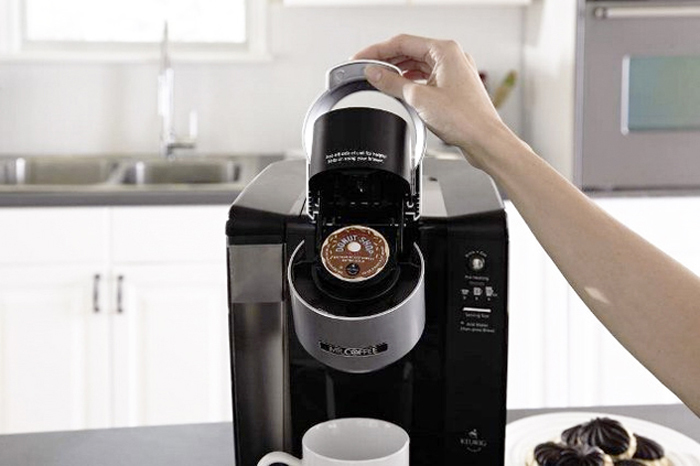 Many people are attracted to Keurig due to the fact that it has several coffees already provided in K-Cups. Having one can definitely change your busy morning and make it to a more productive one. Use of Keurig is very easy, as well as its maintenance. The last thing you want is to find out that your coffee maker is broken when you wake up. 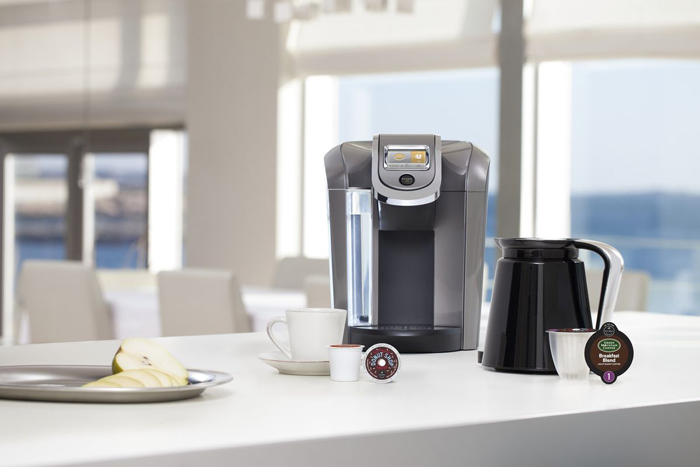 The Keurig is a coffee machine that has a personal single-cup brewing capabilities. It keeps at least one cup of water inside the brewer that is available at times. With this, it can provide you instant hot coffee for a short period of time. It is also important to note that it is deemed necessary to drain water out of the reservoir and on the interior. If you want to know how to get water out of Keurig, read this post is its entirety. I will be shedding some enlightenment as to how to properly maintain your unit and some other tips on how to effectively take care of it. If you want your Keurig to last longer, properly getting water out of it is a mandatory task. Turn off the Keurig and disconnect the unit from the power outlet. Wait for around 30 minutes to let the machine cool. This is also a way to get the water to cool off from the tank, thus protecting you from accidental scalding you empty the reservoir. Lift the lid of the reservoir of your Keurig. Pull it straightforward into the direction of the brewer. Empty the tank from any water left from it and pour it into the sink. Using a screwdriver or your own fingers, open the small thumbscrew you can find at the back portion of the coffee maker. Lift the rear access panel. As you remove the above-mentioned panel, you will notice a tube with a plug connected at the end of it. You have to take it from the plastic clip holder. Place the larger pitcher on the back of the brewer. Take hold of the end of the tube and life the plug from it. Let the water flow out through the pitcher. If necessary, place the unit at the edge of your counter. If you notice that the water stops coming out of the water tank, press the plug back to its original place. Throw away the water from the pitcher and into the sink. Drive the tube to its original position in the clip holder. Reinstall the panel and seal it with the thumbscrew knob. If you are using a mini model, you have to keep in mind that you need to put the cup in its normal brewing position. After that, keep pressing the Brew button until water stops coming out from it. Switch the coffee maker off and unplug it from the power outlet. Wait for around thirty minutes until the machine cools. This is the same process as emptying water from the reservoir, as mentioned above. Pull out the reservoir from the brewer and place it neatly at one place. Turn the machine and adjust it so that it is positioned directly in front of you. With the use of a flat head screwdriver, open the screw knob you can find at the top center of the back panel. Take out the panel and place it neatly at one place. Position the brewer that places its rear end near the counter’s edge. Take out the plastic tube on the rear panel’s right portion of the clip. Remove the plug from the tube’s top and position its end over the pitcher at the edge of the counter. Let the water flow out completely into the pitcher. Reinstall the plug and the back panel. Close them shut with the holding screw knob. Check the lid on the top of the brewer to ensure that it has been shut properly. Insert a coffee cup on top of the drip plate. Press the Brew button until no water is left from the tank. 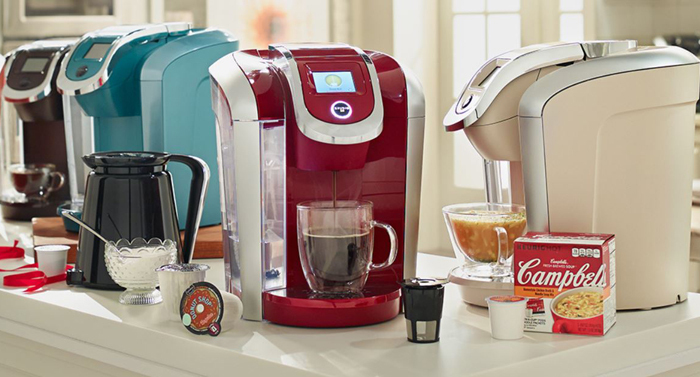 Here are some additional tips on how to properly take care and maintain your Keurig. You may wash the water reservoir first before returning it inside your Keurig. Turn the Keurig off and unplug it from the power source. Remove and empty the water tank. You have to wipe the base with a damp cloth. You may also scrub its interior with warm and soapy water. Rinse and dry accordingly. If you want to descale your Keurig, clear out the water tank and fill it with equal parts water and distilled white vinegar. Run at least three brew cycles with the hot vinegar and water mixture. Spot clean other areas as necessary. Lastly, you may perform the brew cycle, but this time, with water only. It is important to empty out the water reservoir especially if you wish to ship the unit. Neglecting to drain water out of the coffee maker may cause bacteria build up that may require thorough cleaning with bleach. The most important part of the process is to unplug the machine from the power outlet. You don’t want to get yourself electrocuted while doing this. Emptying water in your reservoir and coffee pot will ensure that cleanliness is observed. You will enjoy your cup of coffee more if you know that your coffee maker is clean, even on the insides. Make sure to dry off the unit, especially if it got wet, to prevent you from electricity-related accidents. By now, you should be able to perform this task easily. I believe I already have provided you with valuable instructions on how to get water out of Keurig. As mentioned above, the most important part of the process is to unplug the unit first from the power outlet. The rest is easy; you just have to follow the above instructions properly.